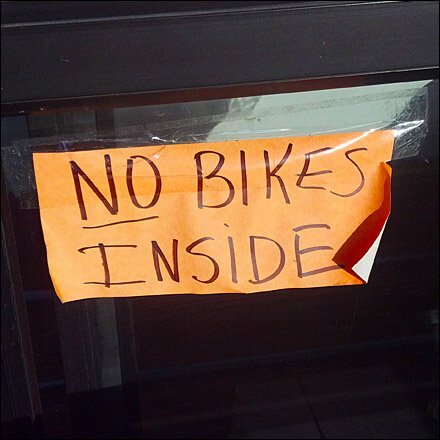 It must have been a bicycle Flash Mob that drove this store to create a quick handmade sign banning bikes in-store. I don’t think I have ever seen a retailer so afflicted with two-wheelers, except maybe my old mountain bike shop. 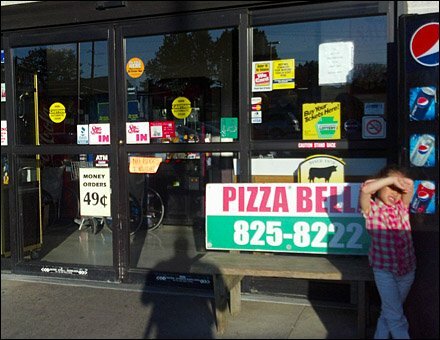 CLICK the thumbnail for an outside entry overview, including cute little girl hiding from a blazing late afternoon sun.